As an enlightened political philosopher active in a crisis-ridden era, Albrecht Mendelssohn Bartholdy is the 20th-century heir to the legacy of his great forebear Moses Mendelssohn. A Southwest German born in Karlsruhe, he has no time for the Prussian bent of the Berlin-based Mendelssohn bankers. He is committed to the liberal ideals of his unfortunate father Carl, a historian who had celebrated Europe’s liberation movements and freedom fighters, but who was forced to spend his last decades in a psychiatric institution. The grandson of the composer Felix Mendelssohn Bartholdy, gifted with many and varied literary and musical talents, grows up in the company of strong women. His Leipzig law professor, doctoral advisor, and mentor Adolph Wach, who is married to Albrecht’s aunt Marie, daughter of Felix, also becomes his father-in-law and substitute father figure. Albrecht Mendelssohn Bartholdy as a student. He attended law schools in Leipzig, Heidelberg, and Munich © Hamburger Bibliothek für Universitätsgeschichte. At the post-war peace negotiations in Versailles, Professor Mendelssohn Bartholdy is one of the academics in the German delegation’s accompanying team of experts. An excellent pianist, he supposedly provides acoustic cover for the negotiations with his playing, since the Germans fear being eavesdropped upon. 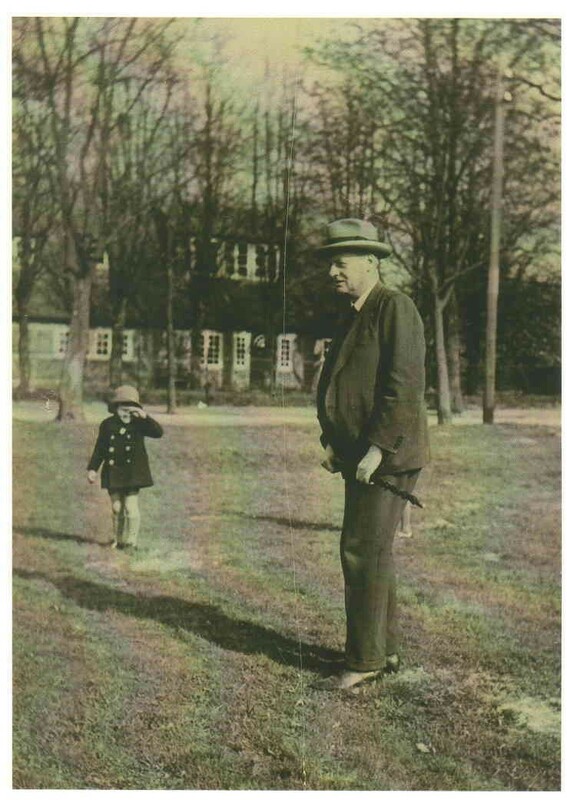 The Hamburg professor and institute director in front of his house in Hamburg-Ohlstedt with his adopted daughter Brigitte in the 2nd half of the 1920s © Private collection. Commissioned shortly after the war by the Weimar government to edit the diplomatic files pertaining to Germany’s pre-1914 foreign policy, the legal scholar with the prominent name concludes to his chagrin that he cannot in good conscience comply with his superiors’ wish to build a case rebutting Germany’s guilt in starting the war. He goes on to publish the journal Europäische Gespräche (European Conversations) and, with financial assistance from the Warburg family, founds the Hamburger Institut für Auswärtige Politik (Hamburg Institute for Foreign Policy). The aim of both endeavors is to help strengthen the bonds that tie the fledgling German democracy to the family of nations and to a shared system of international law. Some of the people working for him at the institute will later risk their lives in the resistance against the “Third Reich.” As Professor of International Law at the newly inaugurated University of Hamburg, Albrecht encourages the Germans to tie in their political fortunes with the Western democracies. Thus, he establishes the American Library in Hamburg, a US-German Friendship Association and the magazine Hamburg-Amerika-Post. He represents Germany at the League of Nations and before the affiliated Permanent Court of International Justice in The Hague. 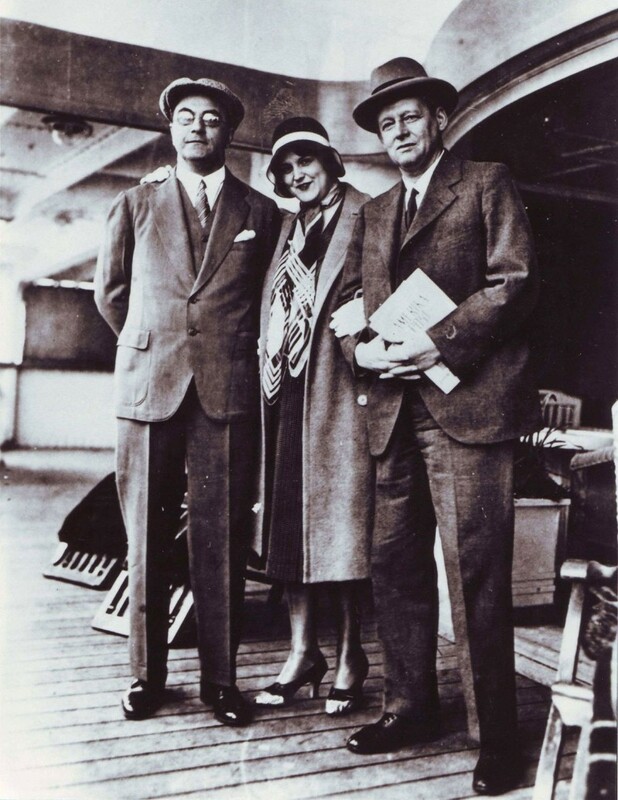 On the transatlantic crossing to New York with her colleague Alfred Vagts in the early 1930s with a copy of the Hamburg-Amerika-Post magazine under her arm © Hamburger Bibliothek für Universitätsgeschichte. Magdalena Schoch, the first woman to publish a Habilitationsschrift in law in Germany and a colleague of Albrecht’s in Würzburg and Hamburg © Private collection. 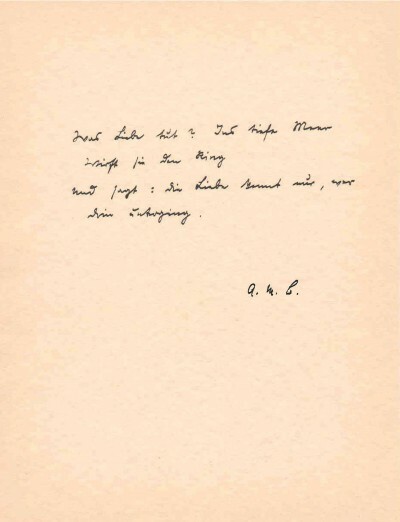 In 1896, Albrecht and his friend Carl von Arnswaldt published Schmetterlinge (Butterflies), a collection of lyric poems © Private collection. The creativity of the amateur composer Albrecht is also nurtured by his intense relationships with various women who serve as unattainable muses. 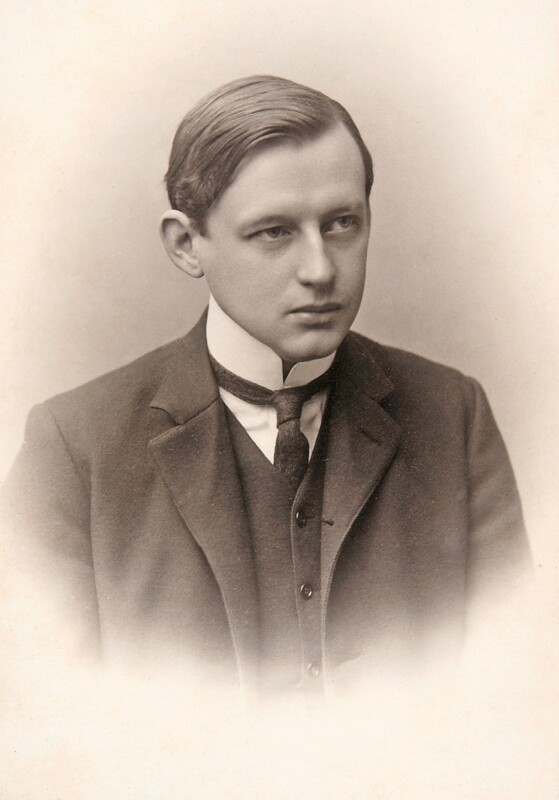 One is his sister-in-law Marie “Mirzl” Wach (1877 – 1964), with whom he remains on close terms before and after his marriage and to whom he dedicates passionate love songs. Another such muse in the sunset years of his life – and the subject of equally devoted songs – is his long-time assistant Magdalena Schoch, the first woman to publish a Habilitationsschrift in law in Germany. A few years ago, a set of 70 lieder by her former boss was found in Schoch’s estate near Washington D.C.
From Ferne and Nähe, a song for which Albrecht Mendelssohn Bartholdy wrote the music – and probably also the lyrics – between 1934 and 1936 during his exile in England; it was found in the estate of his assistant Magdalena Schoch. 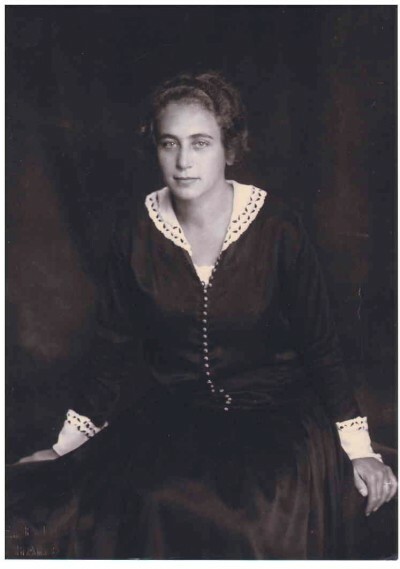 In 1905, Albrecht marries his cousin Dora Wach (1875 –1949), with whom he later adopts two girls orphaned by WWI. Once the Nazis come to power in Germany, Mendelssohn Bartholdy is forced out of his professorship and expelled from his faculty due to his “non-Aryan” ethnic origins. In 1934, he decides to risk a perilous escape to England via Switzerland, and is eventually followed by his family. This escape route allows him to also rescue the so-called “Green Books,” the 27-volume collection of letters written by his grandfather Felix. In Oxford, where he obtains a teaching position, the emigré chafes under the English appeasement policy towards Hitler, hoping in vain that a tyrannicide would intervene to free Germany from despotism. He dies of stomach cancer not long after; his political testament, “The War and German Society,” is published posthumously. Although barely legible, the gravestone of this pioneering German pacifist thinker can be found in the village churchyard of Clifton Hampden, high above the Thames River. In 2012, a post-graduate law school and student dormitory in Hamburg are named after him. 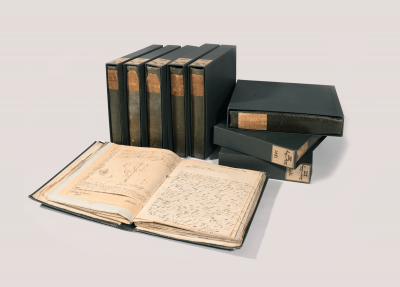 The “Green Books” by Arnold’s grandfather Felix Mendelssohn Bartholdy, a unique collection of personal correspondence © Bodleian Library, University of Oxford.